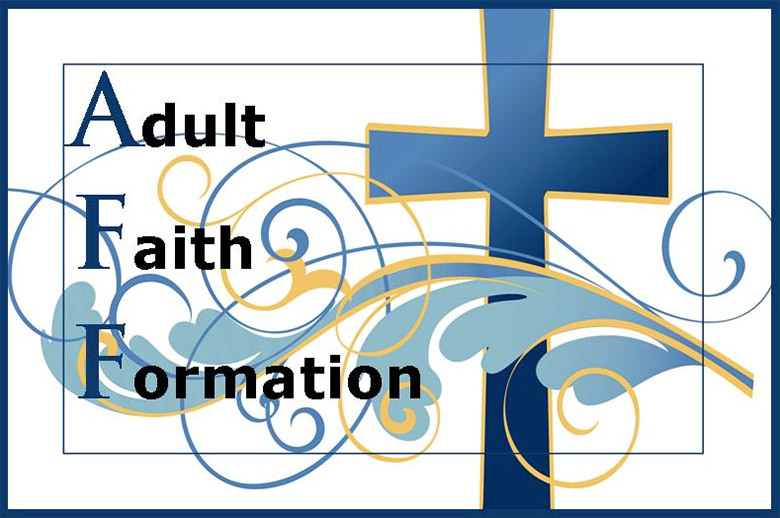 Adult Formation is a multifaceted approach to help parishioners reignite and refresh their faith and deepen their understanding of our Catholic Faith. Through the years some of us may have forgotten or lost what we were taught through our formal teaching years. This program helps parishioners reconnect and continue their faith journey through guest speakers, movies, books, and the Formed website and more. Faith is nurtured and Evangelization is brought to the forefront of our thoughts and expressions. How better to live the message of Christ than to spread His message of salvation and to reach and teach each other. All families, all ages are invited to attend Parish Adoration on the first Saturday of every month between 8:30 AM- 9:00 AM in the church. Please note this includes children of all ages, grandparents, singles, and married couples. Join us for donuts in the St. Francis Room after Adoration. Check here for details on future talks. All parents and adults are invited to join us for a small group round table discussion about our Catholic faith in order to share with your family and friends. The group will be watching "Symbolon: Knowing the Faith," which is available for everyone on the Formed website. We will meet in the St. Gerard Room at 5:45 PM on the following Sundays: 1/6/19, 2/10/19, and 3/10/19. Mark your calendars and join us to learn more! Bible Study is offered for men and women on a weekly basis from September through April. Year-round options include Men's Bible Study, Balanced Women, and Small Christian Communities. Balanced Women Scripture Study meets every Tuesday from 6:30 PM to 8:00 PM in the St. Joseph Room in the Multi-purpose building. A meal is shared with family then they separate for Scripture time. Nursery is provided. The King's Men exists to create and develop a thriving community of Catholic men in our parish. One of brothers that learns, grows, experiences, and shares in all areas of life. These men attend Catholic based functions and utilize Catholic based materials and programs to grow in our faith and further our understanding of what God calls men to be. The King's Men meet every Wednesday from 6:30 PM until 8:00 PM in the St. Joseph Room. They participate in a wide variety of compelling programs and events. Members participate in “That Man Is You” men’s development program, Christ Renews His Parish men’s retreat, The Men of Immaculata men’s conference, and retreats at Manresa. Contact Mark Dugar at markdugar@hotmail.com for more information. Men's Scripture Study meets Tuesday evenings in the Choir room from 6:00 PM – 8:00 PM. Many of us know the Scripture readings from Mass, but do you know how they apply to your everyday life? Come share time with Scripture from the Sunday readings and fellowship with other men of the parish. Bible Studies began the week of September 10. Check here next August for the list of Bible Studies and all registration forms.